Don Lemon has risen to become one of the most recognizable faces on CNN over the past few years. The fiery journalist, who anchors CNN Tonight with Don Lemon, is liked and somewhat disliked for his strong and candid opinions on a variety of matters that do not just include politics but also race, significantly, matters that concern the African American community. He most notably called the 45th President of the United States, Donald J. Trump a racist. Lemon is also an author, having published the autobiography Transparent in 2011. Prior to that, in 2009, Ebony Magazine placed him among one of the 150 most influential African-Americans. Don Lemon was born Donald Davis Lemon to a single mother named Katherine Clark on March 1, 1966, in Baton Rouge, the capital of the U.S state of Louisiana. Along with his two sisters; Leisa, who died on the 31st of January, 2018 and Yma, Lemon was raised in West Baton Rouge and Port Allen by his mother and grandmother until his mother remarried in 1976. He is of French and Western/Central African ancestry. Lemon attended Baker High School, located in East Baton Rouge Parish after which he enrolled at Louisiana State University in 1984. He failed to complete his studies at the university before moving to New York to take a job at the WNYW television station. He later enrolled at Brooklyn College where he graduated with a degree in broadcast journalism in 1996. After graduating, Don Lemon moved to Birmingham, Alabama where he worked as a weekend news anchor for the Fox-affiliated WBRC television station. After spending some time there, Lemon left the job to take another one in Philadelphia, Pennsylvania at the NBC-owned and operated WCAU tv station. He also worked as an investigative reporter and anchor for the Fox-affiliated KTVI in St. Louis, Missouri. 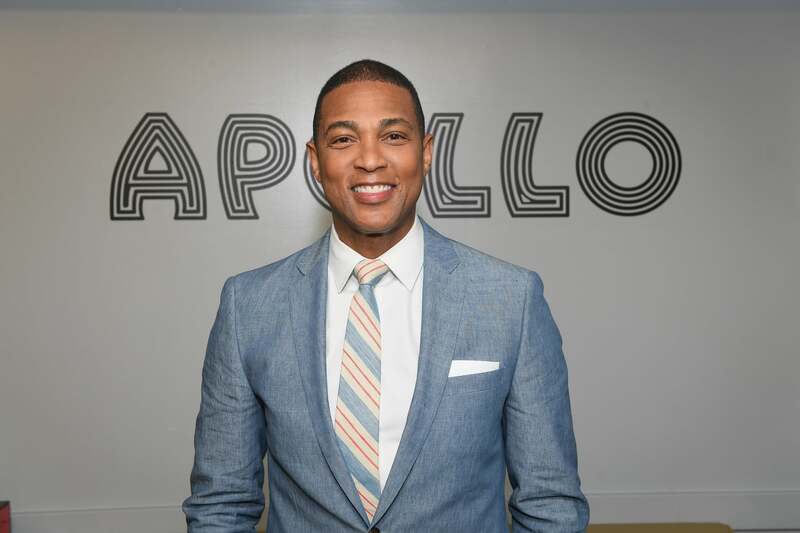 Later on, Don Lemon worked for NBC News as a reporter, correspondent, and anchor on different programs before heading to MSNBC to anchor another news program. By 2003, he moved to Chicago to work for another NBC-owned and operated tv station, WMAQ, where he reported local news. During his time here, he notably won an Emmy Award for his reporting on the real estate market of Chicago. He won another one in 2005 for his coverage of Hurricane Katrina prompting CNN to hire him and hand him his own show. Don Lemon, who received the Edward R. Murrow Award for his reporting and coverage of the D.C, Maryland, and Virginia-area sniper shooting of 2002, is said to take home an annual salary of around $128,000. He is also reported to have a net worth of 3 million dollars. 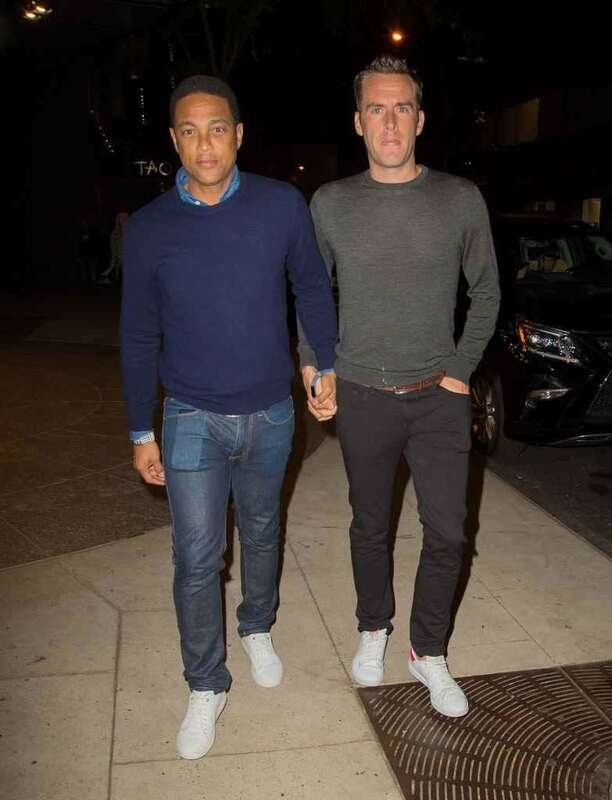 Is Don Lemon of CNN Gay? The prolific news anchor is indeed gay. He made this known to the public in his autobiography titled “Transparent” where he openly discussed his sexuality as well as issues of homophobia and colorism in the Africa-American community. He further talked about the sexual abuse he suffered as a child. Since his revelation, Lemon has been one of the biggest voices of gay people in the black community. He is further regarded as a role model for all gay men regardless of race. Who is His Partner or Boyfriend? The 5 feet 6 inches tall Louisiana-born journalist is reportedly in a relationship with a man identified as Tim Malone, a Boston College graduate who works as a sales executive. It is not clear when exactly the pair began dating but they were pictured together publicly for the first time in October 2017 as they left the star-studded after party of Saturday Night Live at Tao Restaurant and Night Club in New York. Prior to that, the pair had only shared photos of each other via their social media accounts prompting speculation of a new relationship. Don Lemon had previously been in a somewhat high-profile but low-key relationship with award-winning choreographer John Byrne. Bryne, who is a graduate of the University of North Carolina School of the Arts, is best known for appearing in music videos like Can’t Hold Us Down by Christina Aguilera, Everytime by Britney Spears, and I Believe in Love by Elton John, among many others.